PETRA Diamonds has thrown its weight behind long-standing non-executive chairman, Adonis Pouroulis, who was on the wrong end of a vote in its annual general meeting (AGM) during November, saying it was appropriate he retain his role. About 22% of shareholders at the AGM voted against the re-election of Pouroulis who founded the company in 1997. After a shaky start, Petra went to become a stalwart of the UK’s Alternative Investment Market having been its first member. Petra said in an announcement today that Pouroulis “… continues to demonstrate the independence of thought and challenge required for his role”. This was despite the number of years served as a director of the company, it added. The company also referred to significant board changes as part of its three-year succession plan of which it was now in its final year. During this time, the company has parted ways with a number of directors, most significantly its CEO, Johan Dippenaar, whose resignation was announced last year. Dippenaar, CEO of Petra for 12 years, is making way for Richard Duffy, who was previously CFO for AngloGold Ashanti. Duffy is due to take up his position in April. Petra also announced new board appointments in Bernard Pryor and Varda Shine, effective January 1. In the light of these changes, Petra said it was important to keep the chairmanship of the company unchanged. “In order to ensure continuity and stability of leadership and management, the appointment of a new chairman is not considered appropriate at this time,” Petra said in a statement. It added, however, that the situation would “remain under review” and that further board changes would be made this calendar year. 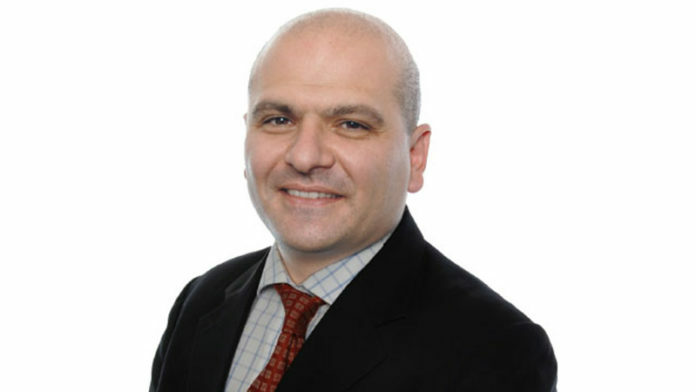 Pouroulis is a well-known figure in the UK resources market. In addition to the founding of Petra Diamonds, he is a non-executive director of Chariot Oil & Gas and non-executive chairman of Rainbow Rare Earths. His family cuts an even larger profile in Johannesburg. Father, Loucas, a mining engineer who trained in Cyprus, is a long-standing mining industry entrepreneur having helped found a number of listed companies including Keaton Energy, Tharisa – a platinum group metals and chrome producer – and perhaps most famously, Eland Platinum which sold a mine to Xstrata for $1bn. Shares in Petra Diamonds were down just over 0.5% in London today but on a year-to-date basis, they have halved related to investor concerns about the company’s ability to cut into net debt, and the performance of the diamond market at the lower end of the price range.